Our idea is to use smart solutions to build bridges and to facilitate information that flows both internally and externally whitin companies and organisations. 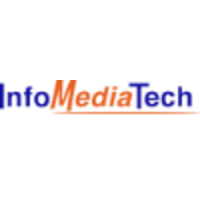 InfoMediaTech delivers IT-education and solutions. On the technical and practical competence are we increasing the customers quality and competitiveness. We train people in; IT -the use and communications, media, webb, graphically, advertising, multimedia, social media, projectskills and presentation techniques, officemanage and distribute information. We train people in many different ways. The important thing is that the customer may precisely have the knowledge that they need regarding cost and quality. In other words are we flexible and open to what the customer wants. For an example it could be about an education in one of our rooms, that is adapted individually for your workingteam where we can support you with education and training. We educate from beginning to advanced and can organize education as seminars, workshops, “just in time”, or e-learning. To take forward tailored solutions after our customers needs. In that way are we updated, flexible and sustainable in our training. We can come to you and train you in your own environment, on your workplace together with your colleagues or we skills development in its own premises. We are always open to cooperation with other actors within or close to our industry. Welcome to pass by for a cup of coffee and a chat. Looking foward to see you!